In all seriousness, it's been edited, sorry about that! I also edited another mistake in the showcase, it wasn't the 4e that the Nr6 faced in the Hussar Cup like previously written but the 8th and their match was actually super close. Props to Cage for catching that one! 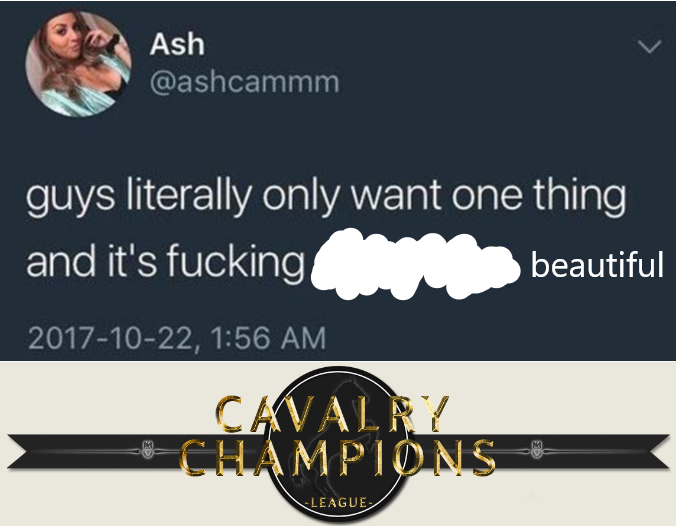 After several months of hard-work, discussions and planning, we are proud to present the Cavalry Champions League, a new tournament format which we hope will bring a fresh air upon the competitive cavalry community. Our staff is composed of experienced and talented members, longtime cavalry players or leaders, with multiple tournaments organisations under their belts. With their combined knowledge and expertise, we intend to provide you with a high-quality tournament production, including a new way to stream matches, several different media contents and a lot of new features. The tournament will consist in one league, with all regiments having to fight each other twice, in a home-away system. At the end of the regular season, the regiment with the most points will be awarded the title of CCL winner. Starting from today until the start of the tournament in January, this series of article will take a detailed look at the regiments which have been invited to this competition, revealing them one by one. Many thanks to Saphyro for helping writing this article, it's his very first one so I hope everyone will be indulgent with him. As a member of the 5e for quite some years, I think it accurately pictures what the 5e aspires to be and the whole thing is very well written. 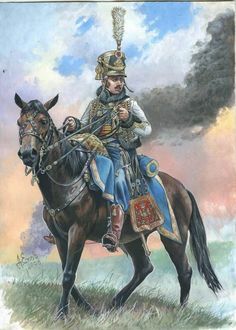 Love to sometimes have a nosey on the old forums to still see projects like these still been created for the cavalry regiments, really good job. Love the descriptions of each regiment as well, a really nice touch. What are you doing alive?! i thought the Scottish gestapo caught you? Great job in these write ups, it's stringing together a narrative for the tournament quite well. Now I'm cheering for the Nr.6!